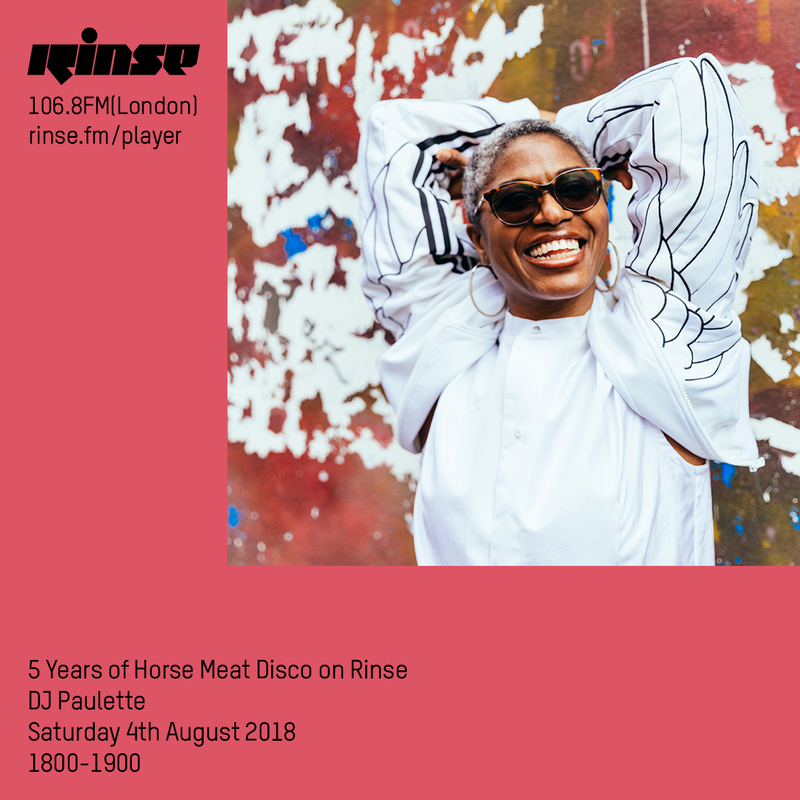 The Horsemeat Disco Rinse FM Radio Show is 5 this week, so it’s ‘Happy Birthday and congratulations’ to Luke Howard, James Hillard, Jim Stanton and Severino Panzetta. In celebration of this mile stone, the HMD family are doing a 12 hour marathon takeover of Rinse FM and have invited a stellar array of international guests to join them in their mission to make the world dance non stop to their beat. Why am I bleating on about this? Because I have the joy, honour and pride in announcing that I am one of their guests. If you love disco, funk, soul and boogie and a playlist that includes everything from The Joubert Singers, Stevie Wonder, Chic, Chaka Khan and Diana Ross then check out my selection of favourite favourites on Rinse FM on Saturday August 4th from 6pm – 7pm BST on rinse.fm/player + 106.8FM London. It will be uploaded on the Rinse FM SoundCloud (soundcloud.com/rinsefm) either on Saturday or early Sunday.